I’m working on expanding my knowledge in the stamping world. I thought I’d give Online Card Classes a try. These are classes put together by Jennifer McGuire and Kristina Werner, two very creative people in the crafty world! I’ve been playing around with making videos so I sort of have an idea what it takes to put one together and I have to say for all the info you receive, tips, tricks and videos – you really do get your money’s worth! Very affordable! 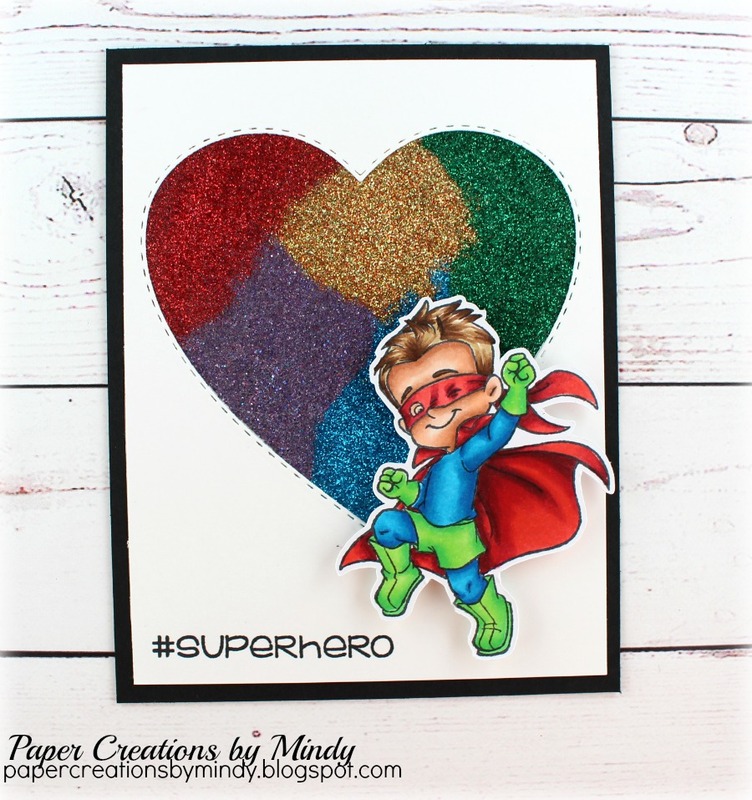 The theme for this class session is Sparkle & Glitter. I love sparkly things on my cards but I will admit – I’ve avoided glitter, mainly because it’s so messy! But it is pretty. For my card I created a die cut inlay with glitter. I used my heart die from Jaded Blossom to cut out my heart. I used what I had on hand which I believe is Stick It adhesive sheet. I put that behind my white card piece so the sticky side was showing through the heart. Then I applied a bunch of glitter. This is actually Take #3 lol … as I wasn’t liking how my others were turning out. For the future, I probably won’t be using the Stick It again because as I was peeling the release sheet away, some of the adhesive was coming with it. So I was having a hard time getting a nice even space. This card is near and dear to my heart. I made it to resemble a puzzle piece which is common symbol for Autism. 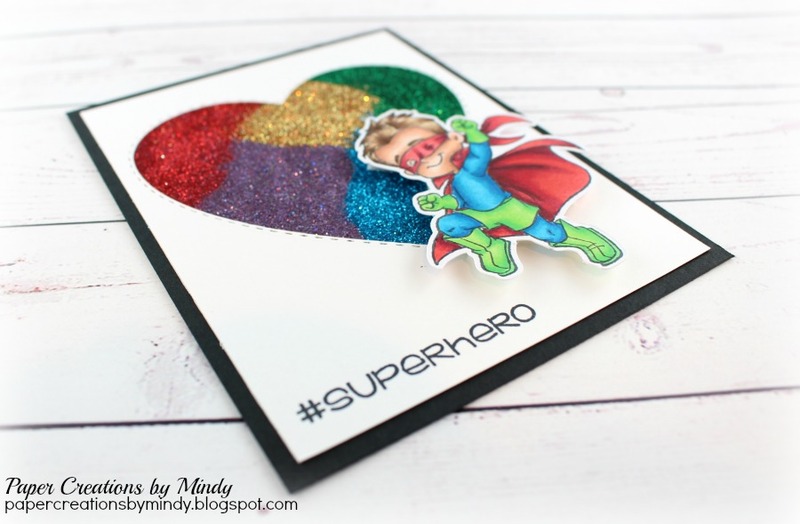 My son is autistic and is my little super hero which is why I picked the stamp that I did. 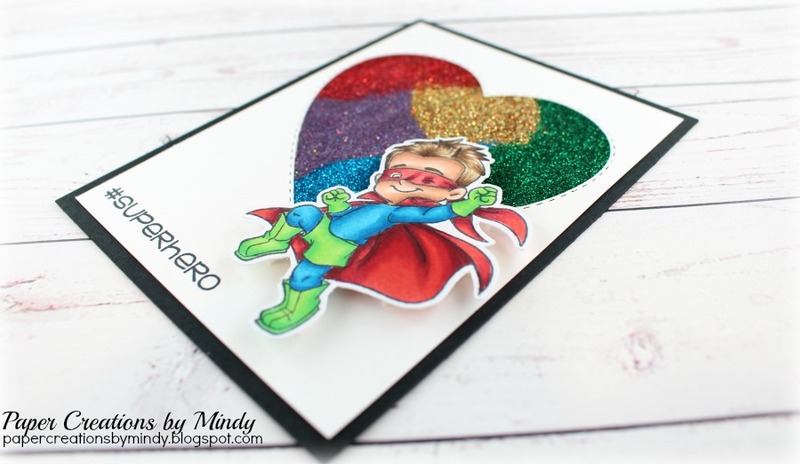 This is Super Hero Henry from C.C. Designs. 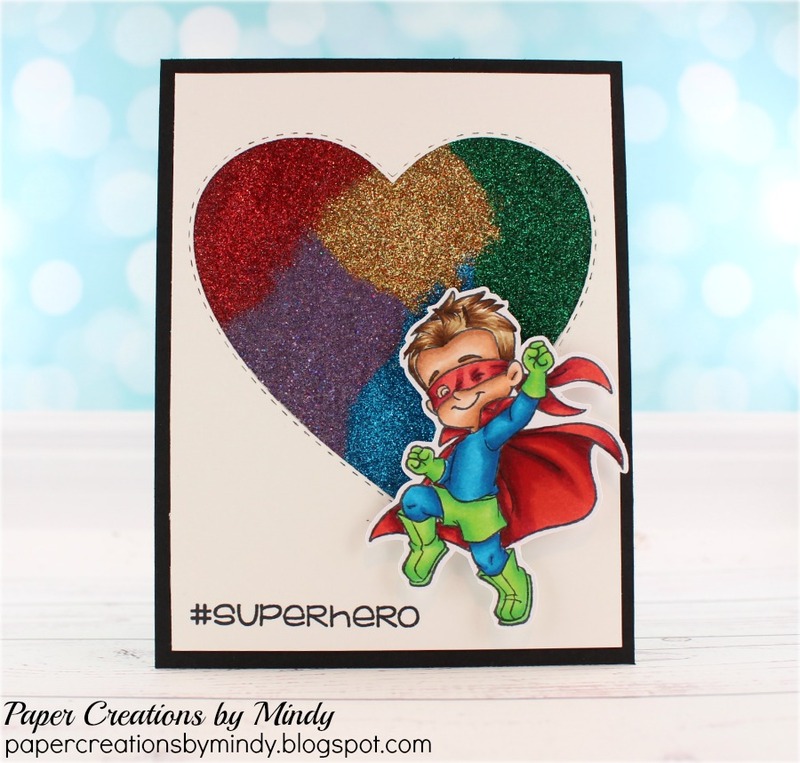 The sentiment is from Jaded Blossom’s SuperHero 2 stamp set. I think this will make a great card to give to the hubby actually. It's a great card. Super cute.